Ouch. My bum is still numb – 190 minutes of a beautifully unfolding drama set in stunningly weird landscape of Cappadocia in central Turkey during the winter months. Director Nuri Bilge Ceylan is renowned for building slowly (his last, the award-winning crime drama Once Upon a Time in Anatolia fairly zipped along at 157 minutes!) – so don’t expect fireworks. 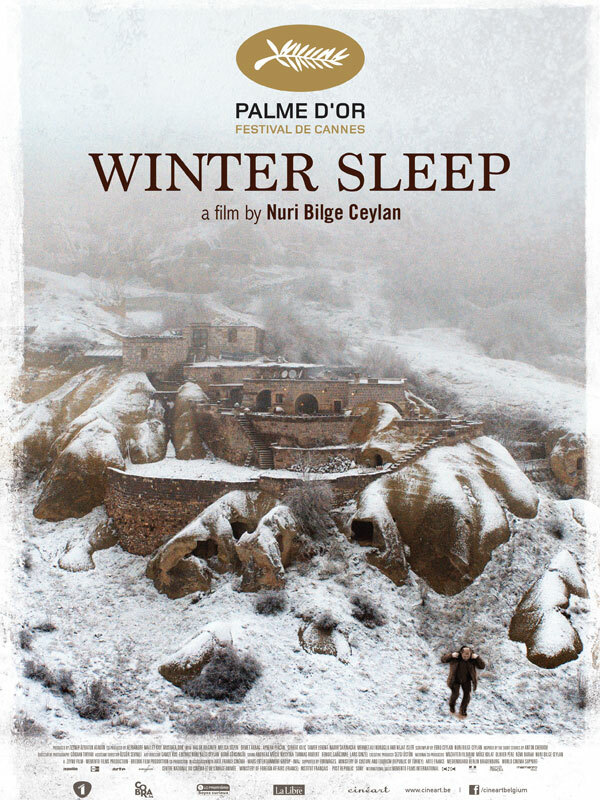 Winter Sleep is almost theatrical in structure – six or seven scenes over the course of the film where characters (mainly in twos and threes) converse and discuss issues of concern. It’s a serious film with little light relief (so no shame in admitting to a little semi-dozing here and there). But stick with it – resolve is rewarded. Winter Sleep collected the Palme D’Or at Cannes earlier this year and is the running for Best Foreign Language Oscar.